Depreciation is the decrease in value of an asset over time, which is the difference of the asset’s initial value or cost. Depreciation occurs as the value of a fixed asset decreases, typically due to wear and tear, usage, or lifetime usefulness to the company; it cannot be avoided with improvements or modifications to the assets, especially in regards to physical assets like equipment or technology. 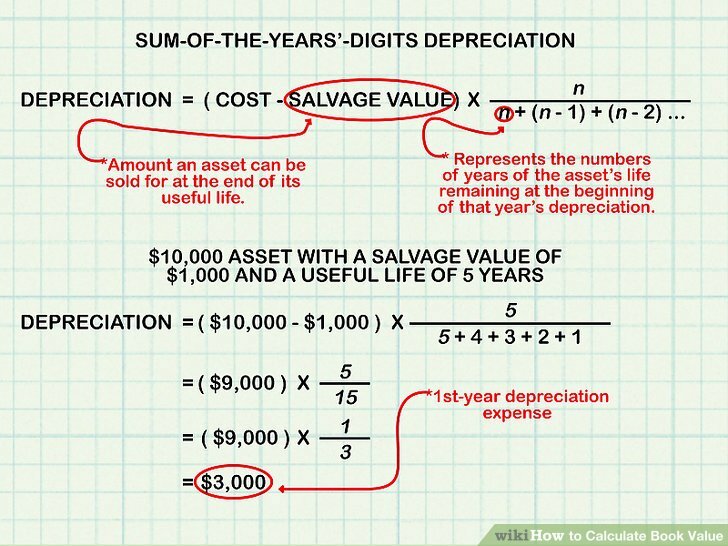 In accounting, depreciation is a method used to allocate the cost of a tangible asset over time. It is sometimes seen as the conversion of the cost of a capital asset or fixed asset into an operational expense over the asset’s estimated useful life. Businesses depreciate long-term assets for both business and tax purposes, but mainly to be able to adjust for the value of the asset over its lifetime; this is called amortization. In effect, depreciation means the recovery of invested capital by gradual sale of the asset over the years which output or services are received from said asset. Reflect the reduction of the book value of an asset due to age, wear and tear, or usefulness. Spread a large expenditure, such as a purchase price of an asset, proportionately over a fixed period of time to match revenue generated from the asset. Reduce the taxable income by charging the amount of depreciation against the company’s total income. Accumulated depreciation is the cumulative (or total) depreciation of an asset up to a single point of its life. An asset’s carrying value on the balance sheet is the difference between the purchase price and accumulated depreciation. A fully depreciated asset—for accounting purposes—is a property, manufacturing plant, or piece of equipment that is only worth its salvage value. Whenever an asset is capitalized, its cost is depreciated over several years according to a depreciation schedule. Establish proper policies that ensure the accurate and consistent accounting of fixed assets. This includes policies for capitalization threshold, approval process of acquisitions and disposals, useful/depreciation lives, and periodic fixed asset inventories. Have a clear set of criteria of what is a fixed asset and an expense; typically if an asset is used for more than one year, it should be considered an asset and not an expense. Ensure the use of correct start dates for depreciation; an asset should be depreciated as soon as it’s intended for use. Do periodic fixed asset inventories to help identify any missing fixed assets, not recorded in accounting records, or have been moved from one location to another. Use automated solutions to help inventory fixed assets and reconcile fixed assets value to the general ledger.